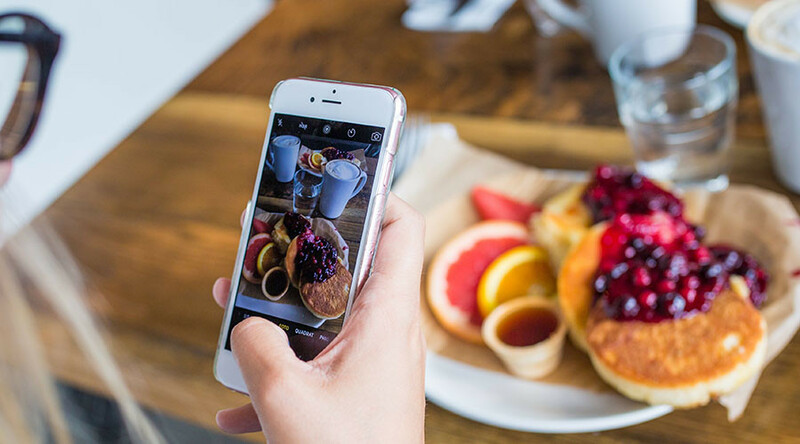 Millennials care more about the visual presentation of food than eating it, new research has found, suggesting the Instagram generation is partly to blame for ballooning food waste. Younger eaters, aged 18 to 34, are preoccupied with photographing their food for social media, while at the same time buying too much and then throwing it away. These eating patterns contribute to Britain’s 15 million tonnes of food waste each year – of which 7 million tonnes come from households. A survey of 5,050 British consumers by Sainsbury’s found two-fifths of those aged over 65 say they never waste food, whereas just 17 percent of those under 35 can make the same claim. Millennials are also more likely to experiment with exotic dishes which look better on social media, but involve ingredients that are harder to reuse. Sainsbury’s research found under-35s have a “live to eat” attitude to food, which often translates into higher grocery costs and more wastage. On the other hand, older people tend to have an “eat to live” attitude, with lower shopping costs and less waste. The government’s waste advisory body, Wrap, estimates that the average UK family throws away £700 (US$873) of food a year. According to the survey, some 17 percent of millennials admit to throwing away leftovers three or more times a week. Younger eaters are also unlikely to plan meals in advance, with 20 percent saying they waste the most food after they have gone on a big shopping trip. Older generations said they were more comfortable in the kitchen, which could explain why they waste so little compared to millennials. Just 18 percent of those aged over 55 said they wished they knew more about managing and cooking food. In contrast, more than half of those aged 18 to 34 said they lacked cookery knowledge. Food historian Dr Polly Russell said eating habits have changed partly because millennials want more choice in what they eat. “Gone are the days of eating the same food, on the same days of the week, week in, week out. Most people today, particularly younger generations, demand variety.